I recently decided that my layout needed some TOFC and COFC in order to really look like the D&H. 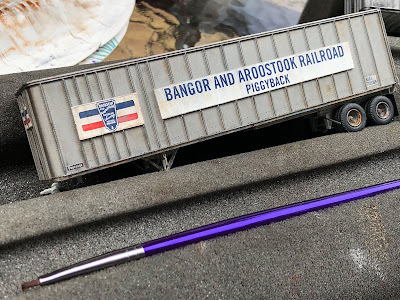 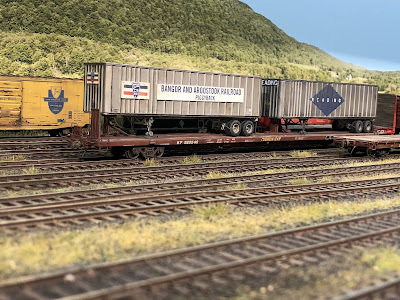 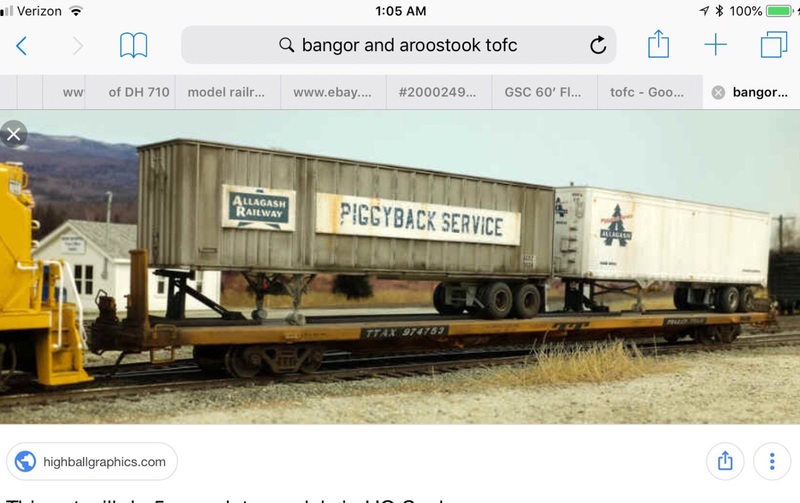 Now that the highway overpass had been raised, and inspired by MC’s Allagash photo and some prototype photos from my era, I ordered some Athearn trailers for the project. 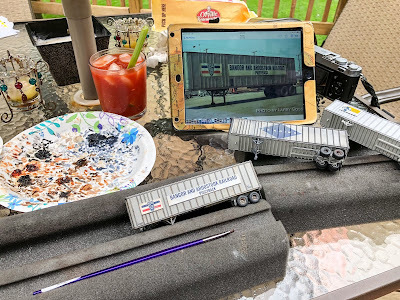 Looks good Ken! 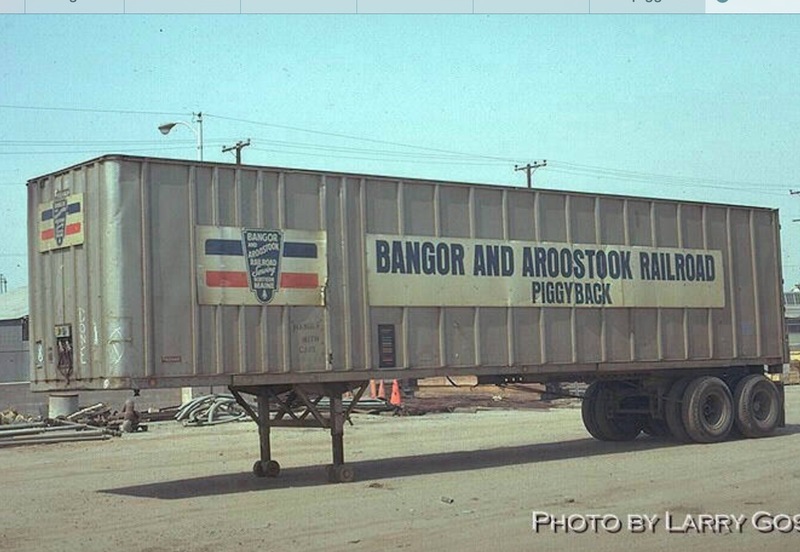 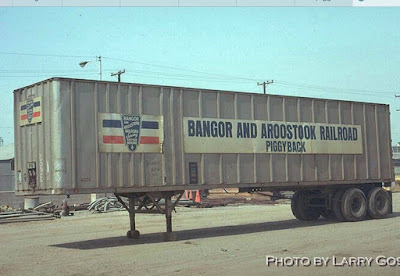 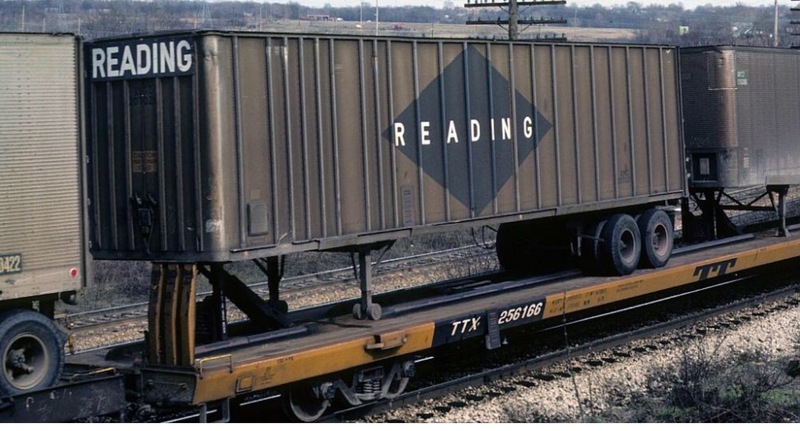 Nothing is snazzier than a loaded flatcar with trailers.